From Sketch to Finished Linocut…. 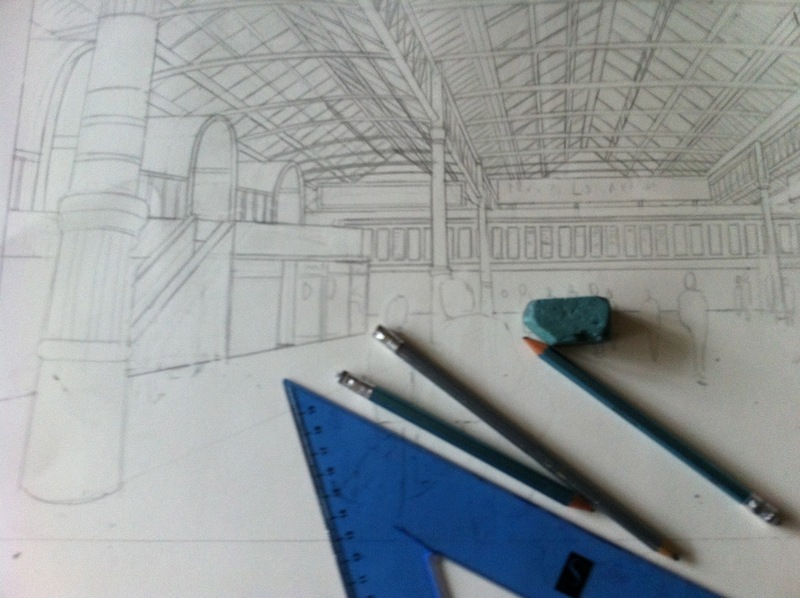 Two weeks later, the finished prep drawing……. 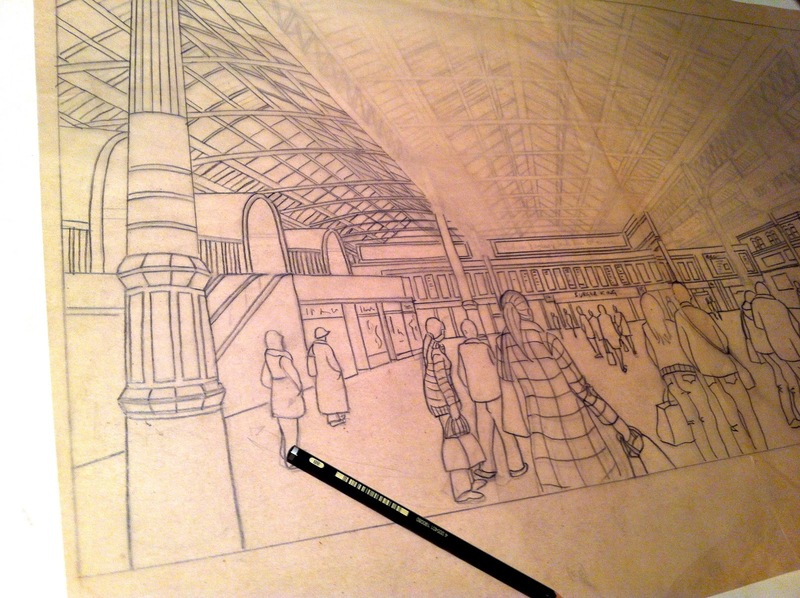 Tracing the drawing and transferring it to each of the four lino blocks. 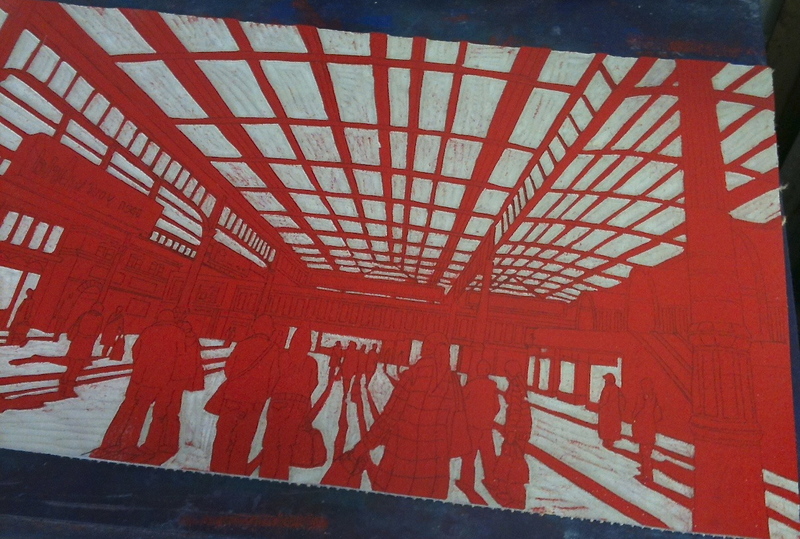 Many, many huge piles of lino cuttings later……. The first block is cut and ready to print…. And this is the proof with the third block printed…. 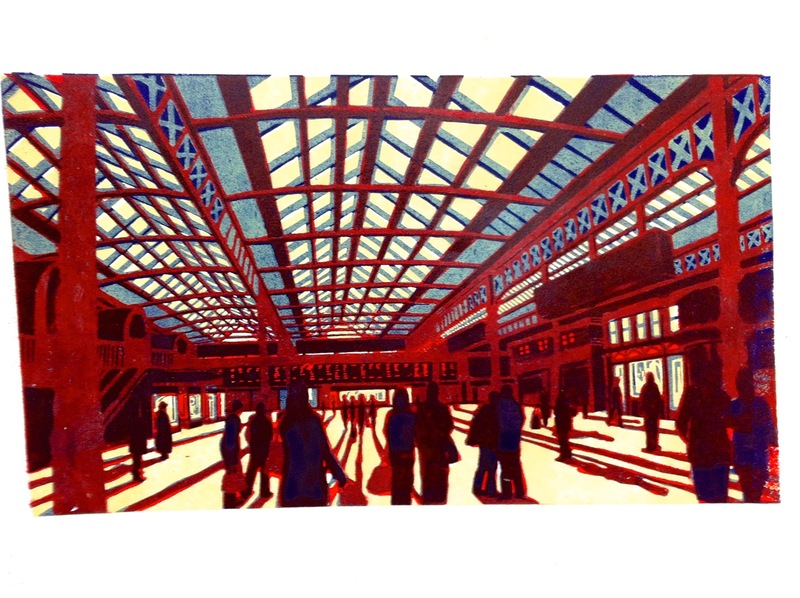 Finally this is the finished print – Poetry of Departures. And here it is framed up and ready to go. Never again, I tell you. Thanks Wendy – we all need a push to get up and get on with it – I think that is possibly the hardest part, motivating yourself…. Thanks for sharing. 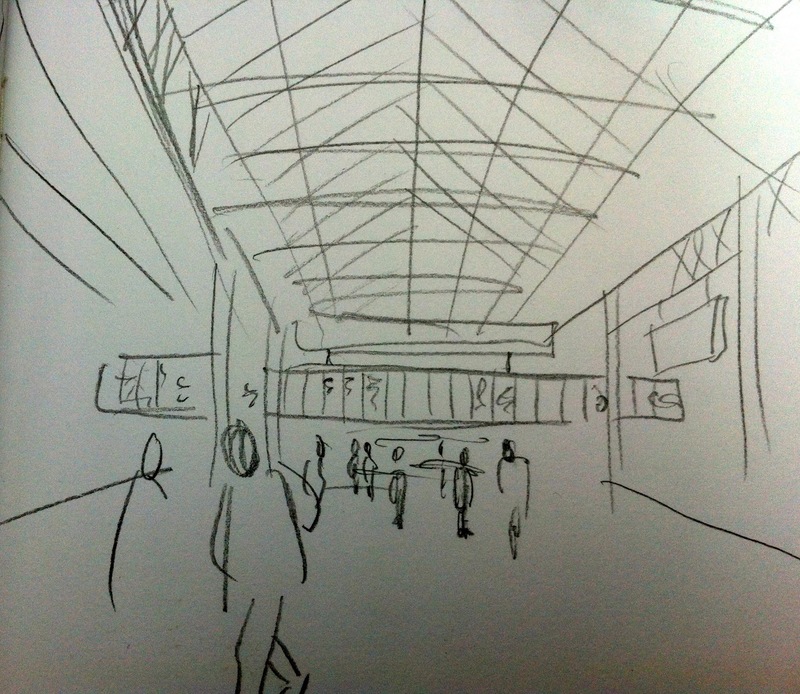 Do you also do colour sketches to get an idea of colours you are going to use and how they will blend? Not really, Em – I usually start with a darkish colour, then a pale-ish neutral and finish with a couple of glazes. Other than that, it's a question of experimenting – I have been known to print twenty or more proofs before I'm happy with the colours…. Lovely to see how this fabulous print developed; a lot of work for a great result! Thanks Anna! It is a lot of work but I love doing it.